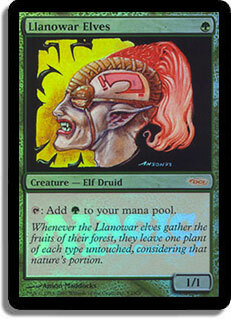 Card Text: ocT: Add G to your mana pool. This ability is played as an interrupt. 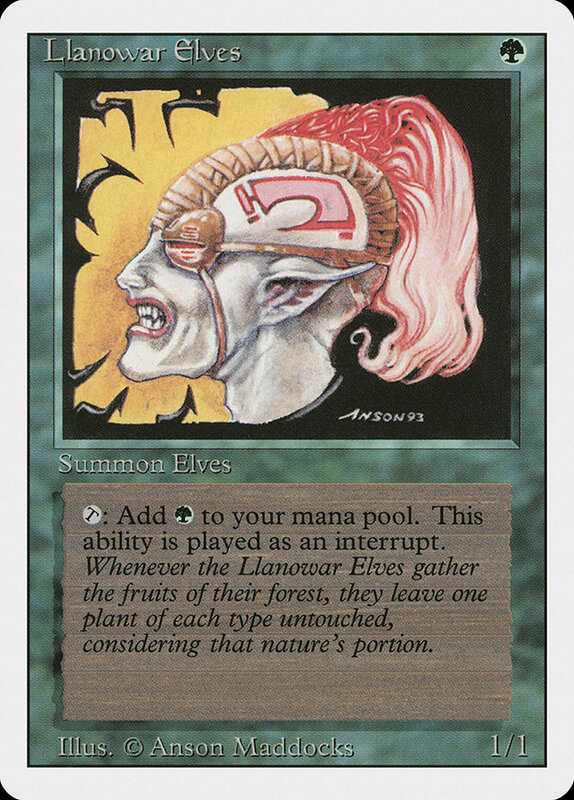 Oracle Text: Tap: Add G.
Flavor Text: Whenever the Llanowar Elves gather the fruits of their forest, they leave one plant of each type untouched, considering that nature's portion. Card Text: ocT: Add G to your mana pool. Play this ability as an interrupt. 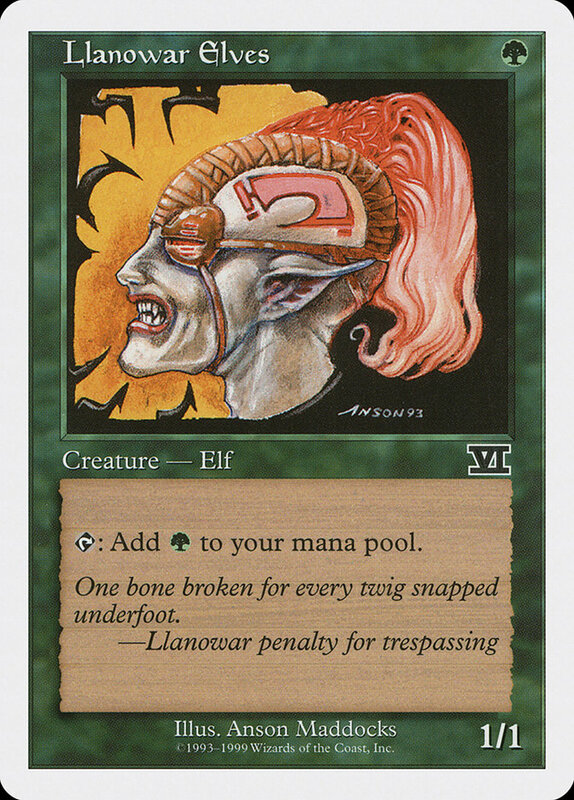 Flavor Text: Hardened by their life in the haunted Llanowar Forest, these fierce beings are outcasts among elvenkind. Card Text: ocT: Add G to your mana pool. Play this ability as a mana source. Flavor Text: One bone broken for every twig snapped underfoot. 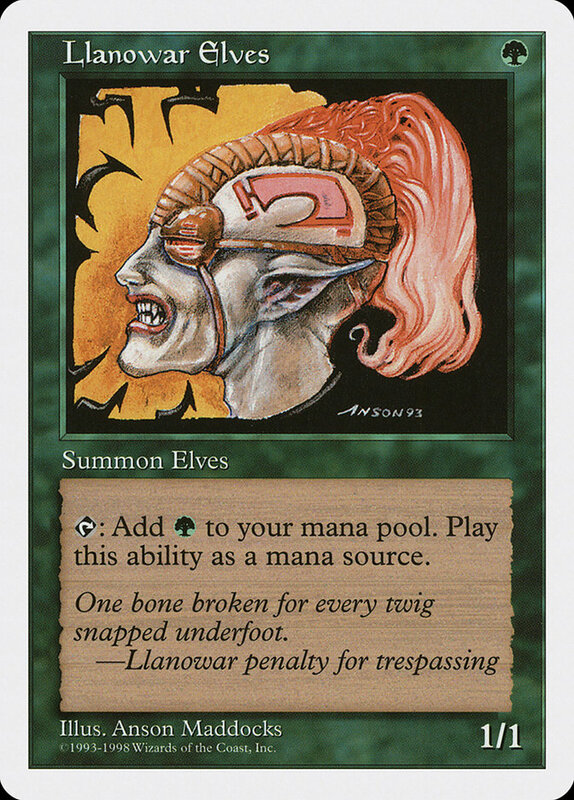 Card Text: ocT: Add G to your mana pool. 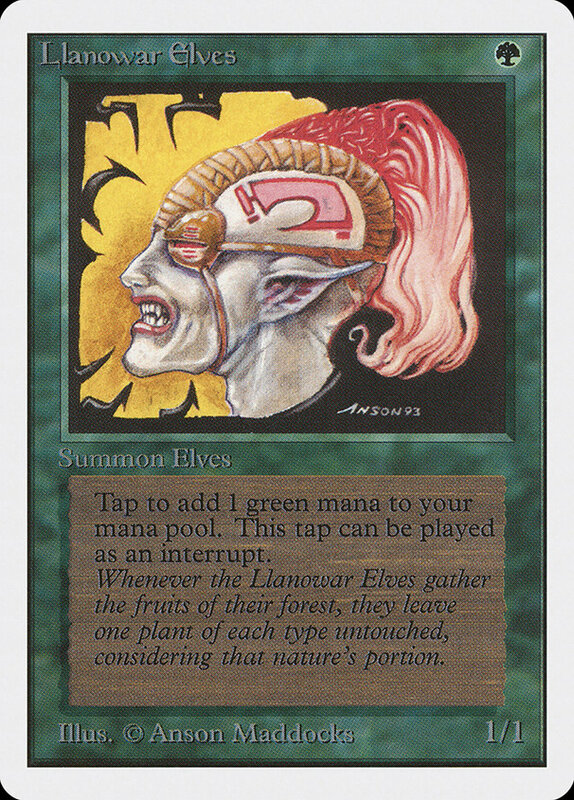 Card Text: Tap to add 1 green mana to your mana pool. This tap can be played as an interrupt. 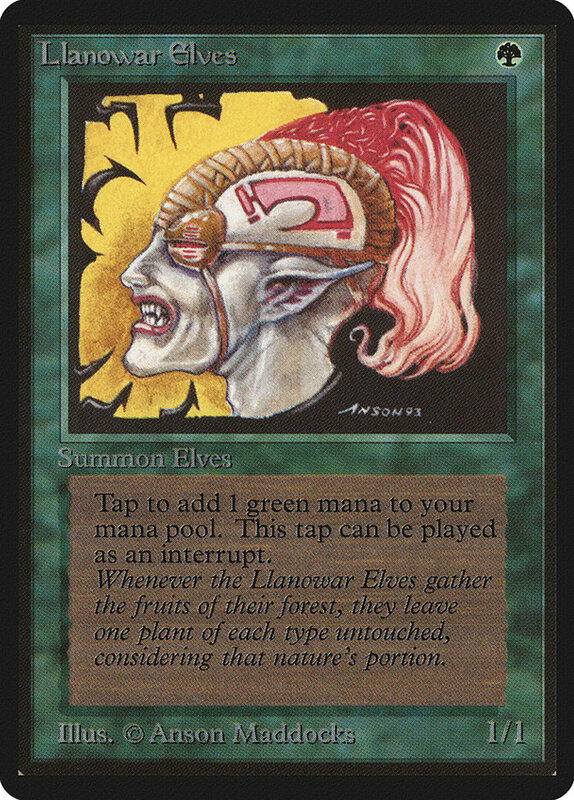 Card Text: TAP: Add G to your mana pool. Play this ability as an interrupt. 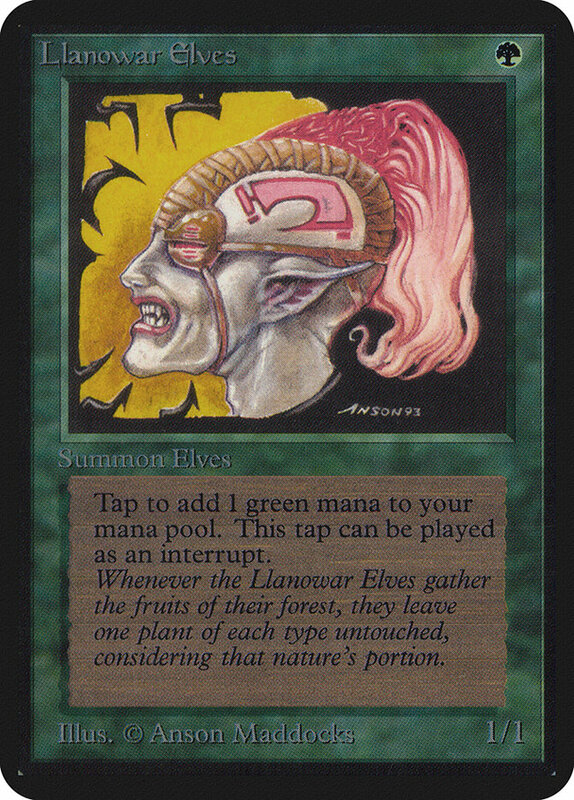 Card Text: Tap: Add G to your mana pool. Play this ability as a mana source. Card Text: T: Add G to your mana pool.